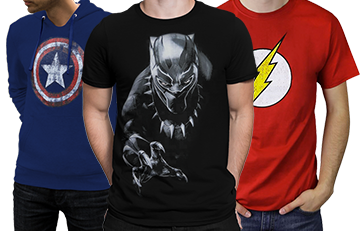 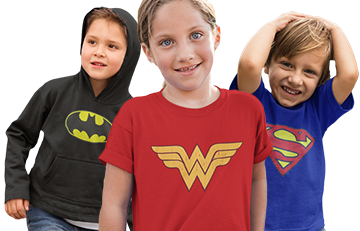 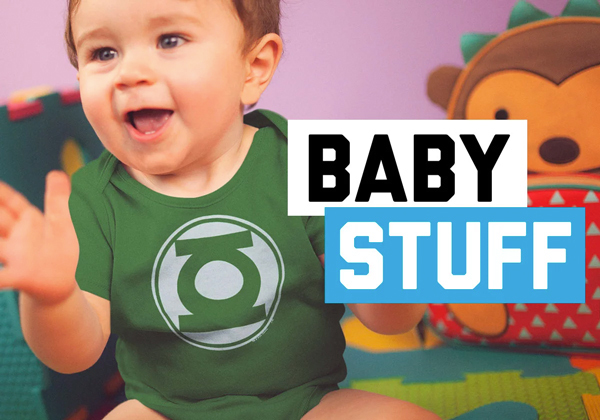 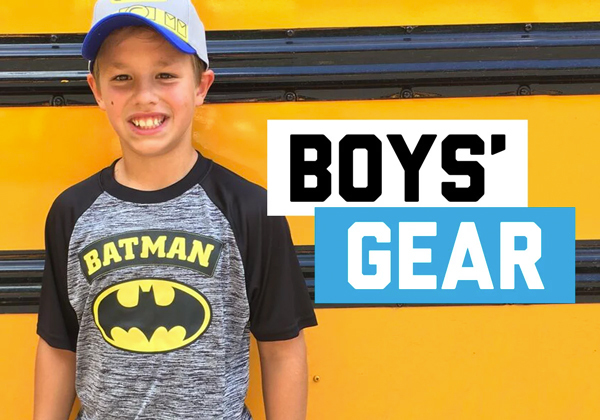 Kids are our world’s little superheroes, and to make sure they look and feel like superheroes, we offer an AMAZING assortment of kids' superhero t-shirts available in infant, toddler, and juvenile sizes. 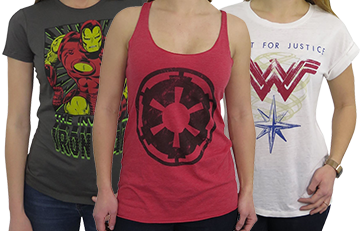 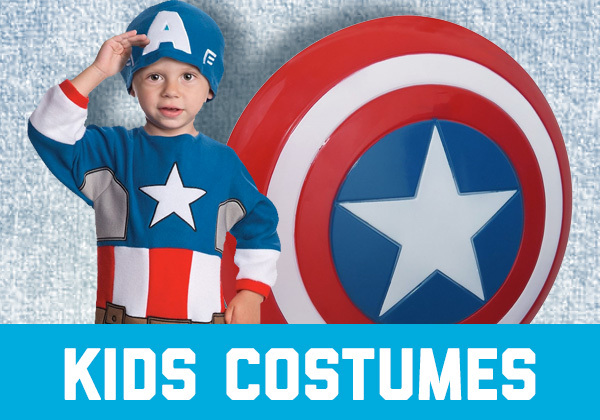 Besides t-shirts, we carry a range of other kids’ superhero items like sweatshirts, hats, dresses, masks, capes, socks, pajamas, and more. 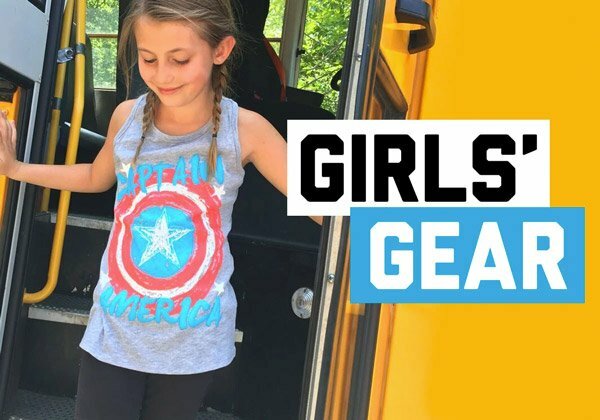 If your wee-one dreams of flying high enough to pluck Mr. Whiskers from a tree, we have the appropriately caped kids' t-shirt to enable 10% of that dream.